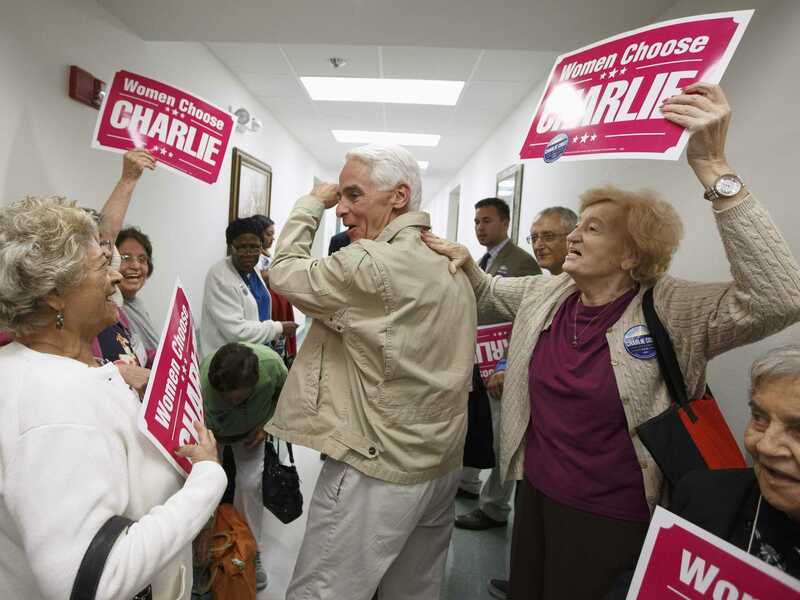 REUTERS/Scott AudetteTuesday marked Election Day in the US. Stocks went nowhere on Tuesday as oil tumbled again, falling to a three-year low overnight, and a report from Reuters indicated that there is growing discontent within the European Central Bank regarding Mario Draghi’s communication tactics. Tuesday also marked Election Day in the US. 1. Crude oil fell again on Tuesday, settling near $US77.20, its lowest level in three years as the bear market in oil continues. But Business Insider’s Shane Ferro writes that falling oil is not going to kill the US economy. Or at least, not yet. But if crude gets closet to $US70, then Wood Mackenzie estimates the US could start to see supply disruptions. In the meantime, US consumers can enjoy gas prices that are now at their lowest price since 2011. 2. In the US, we got economic data in the form of factory orders, which fell 0.6% month-on-month in September, a decline that was in-line with expectations. The latest report from the Census showed that new orders in September fell 1.1% and inventories rose 0.4%. 4. Alibaba reported its first earnings report since going public in September, reporting earnings per share that were in-line with expectations on revenue that topped estimates. Shares of the Chinese e-commerce giant rose another 3.5% on Tuesday, moving to a new all-time high of more than $US105 following the report. 5. The European Commission released its growth forecasts for Europe, one of its bi-annual outlooks, and the Commission cut its overall growth outlook for the economic block to 1.1% from 1.7% earlier in the spring. Among other projections, the report see France growing just 0.3% this year while Italy is expected to fall into recession. 6. The decline in the European Commission’s outlook for the Europe also came on the same day that a report from Reuters said that there is growing discontent inside of the European Central Bank, with a number of euro area bankers reportedly growing discontented with ECB president Mario Draghi’s “secretive” management style and “erratic” communication. 7. Among the biggest stock losers on Tuesday was Herbalife, which lost more than 20% after last night reporting earnings that disappointed and giving a revenue growth outlook that came in well below expectations. The decline in Herbalife was part of an overall terrible day for activist hedge fund manager Carl Icahn, whose Icahn Enterprises reported a $US355 million net loss in the quarter. 8. Stocks moved to near all-time highs late last week, and on Monday touched a new all-time intraday high, but according to Goldman Sachs’s risk model, there is only an average possibility that stocks will have a “bust” over the next 5 to 9 quarter. 9. Tuesday is Election Day in the US, and as Business Insider’s Brett Logiurato reports, experts are currently expecting Republicans to take the majority in the Senate and widen their advantage in the House of Representatives.